Real teens tell the real story about getting sober and staying sober in this edgy, winning interpretation of the Twelve Steps of Alcoholics Anonymous. Shelly Marshall lets her teen contributors speak for themselves (and their words are not sugarcoated), while expertly augmenting the personal stories with discussions about time-honored Twelve Step recovery principles. 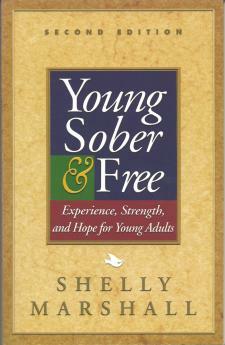 Young, Sober, and Free, first published in 1978, aided the recovery of countless young addicts and alcoholics. This second edition of Young, Sober, and Free, featuring four new stories from teens, is sure to inspire many more.